Rajashekhar Mulali, a right to information (RTI) activist who was known only around Ballari district all these days, is suddenly the talk of the town. BALLARI : Rajashekhar Mulali, a right to information (RTI) activist who was known only around Ballari district all these days, is suddenly the talk of the town after he claimed that he was threatened by some supporters of former minister and MLA H Y Meti to not release a video in which Meti is allegedly seen in a compromising position with a woman. However, the activist insists that he has watched the video but does not have it in his possession. Rajashekhar claims he is a follower of anti-corruption crusader Anna Hazare and founder of Anna Foundation, which was inaugurated by Hazare himself when he visited Ballari to receive a honorary doctorate given by the Vijayanagara Sri Krishnadevaraya University in 2014. 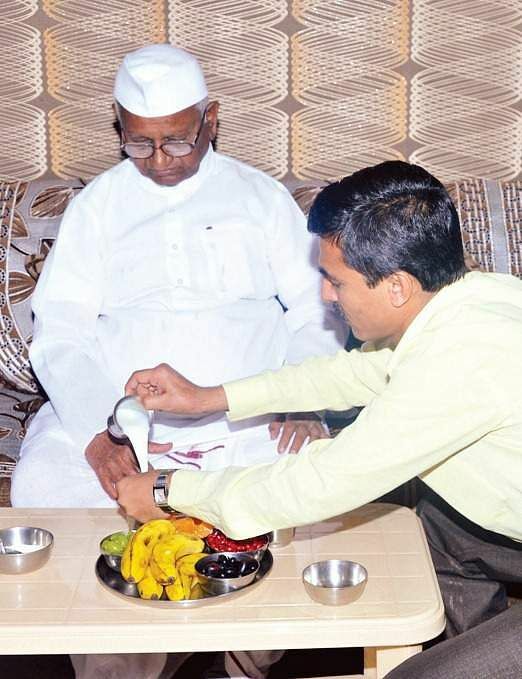 Anna Hazare had stayed at Rajashekhar’s house during the visit. Rajashekhar has been a resident of Ballari for the past three decades. His family hails from Neelagunda village in Harapanahalli taluk of Davangere district. He is the sixth child of M Gurubasavaraj and Lalithakshamma. He is an MBA graduate and is also state representative of Anna Samarthak Gandhivadi Sangh, led by Hazare. His family sources say Rajashekhar had a sense of social responsibility since childhood, and he had complained to education officials against his school teacher who allegedly came drunk to school. The teacher was suspended later. Sources also said that he had complained to Lokayukta against two RTO officials for demanding bribes to register his two-wheeler. He had also trapped an official for demanding bribe to register himself as a businessman. Rajashekhar had also complained to the CCB against Hampi University over the alleged misappropriation of `10 crore in the construction of toilets.